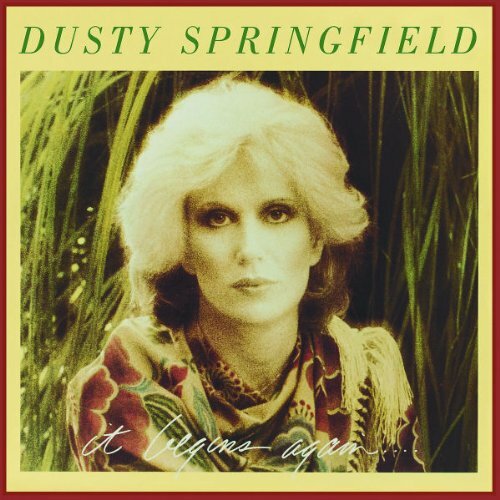 Five albums – released between 1972 and 1982 – represent the years between Springfield’s critical peak with Dusty in Memphis and her temporary return to commercial form with the Pet Shop Boys and the Reputation album. Although many of the tracks have appeared on various compilations (particularly in the States) this is the first time the albums have appeared on CD in their original formats. None were particular commercial successes and they received generally lukewarm reviews when first released. The recordings were made at a time when Springfield seemed to be losing the battle with her personal demons and when a sixties white soul diva, who was known for her extravagant gowns and dramatic make-up, seemed impossibly uncool. It might seem incredible in these days, when Dusty Springfield recordings regularly appear on movie soundtracks and "Son Of A Preacher Man" even features as a mobile phone ringtone, that most of these recordings sank without a trace in their day. So how well have they stood the test of time and did they deserve the indifference they were met with on their first appearance? In truth, the albums are a mixed bag but there are real gems here and the way they chart Springfield’s personal, difficult maturation makes for fascinating, if sometimes painful, listening. The earliest, See All Her Faces, is probably the weakest – and, with the exception of her swansong, A Very Fine Love, probably the least satisfying of Springfield’s career. 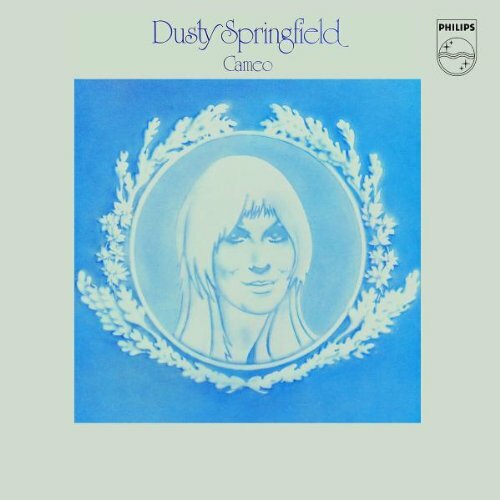 A ragbag of recordings made on both sides of the Atlantic over a period of three years, the decline in quality after Memphis and its follow up From Dusty…with Love (released in the States as A Brand New Me) is alarming and Springfield’s disinterest is almost palpable. The album&#146;s release coincided with her move from the UK to Los Angeles and, by the time of its appearance, the signs that this decision was going to bear neither the artistic nor personal fruit that she had hoped were already apparent. The best work here is the product of Springfield’s last collaboration with long-time British producer John Franz. Unlike her earlier American recordings, the US tracks are unmemorable – the best, unsurprisingly, being two she made with the Memphis team of Tom Dowd, Jerry Wexler and Arif Mardin. Elsewhere, her work with Franz on "Yesterday When I Was Young" and "I Start Counting"is almost as strong as ever but, tellingly, Springfield’s vocal performance on "Mixed Up Girl" is eclipsed by the young Thelma Houston’s version on her debut Sunshower album. Things improve with Cameo, the initial product resulting from a new US recording deal with ABC-Dunhill. Released in 1973, it apparently marks the start of Springfield’s reported obsession with recording songs almost line by line. This may, in part, have been a response to the beginning of a decline in her vocal resources but it doesn’t detract from the quality of the performances as heard. The production is crisp, arrangements strong and the backing vocals of Clydie King, Venetta Fields and Sherlie and Myrna Mathews are the equal of those provided by The Sweet Inspirations for Memphis. As in the past, Springfield makes weaker material seem stronger than it is and, on better songs like "Of All The Things," "Who Gets Your Love?" and Van Morrison’s "Tupelo Honey," the results are superb. Despite receiving generally favorable reviews, the album failed to sell. When recording on its follow up, Elements,was abandoned, Springfield lost her new deal and the dark years began in earnest. She re-emerged five years later, sounding fragile but committed on It Begins Again. Roy Thomas Baker’s bombastic production has dated badly and much of the material here betrays a less than successful attempt to update Springfield’s style for a younger audience. It includes, for example, the first of her few flirtations with disco on "That’s the Kind Of Love I’ve Got For You." While many were disappointed that the album marked neither a definitive new direction nor a triumphant return to form, there are lovely moments. Predictably, Springfield makes light work of Peter Allen and Carole Bayer Sager’s "I’d Rather Leave While I’m In Love" and offers a heartrendingly touching take on the surprisingly little-heard "Hollywood Movie Girls." In particular, her superb version of Barry Manilow’s tale of urban angst, "Sandra," elevates the song to classic status. Again, the album was a commercial failure. Apparently undeterred, Springfield made an uncharacteristically rapid return to the studio and the result, Living Without Your Love, appeared the following year. A more consistent album than its predecessor, it also lacked a standout to match "Sandra." She scores with another Bayer Sager lyric on "I’m Coming Home Again," while the soulful "Get Yourself To Love," the tuneful title track, and (for 1979!) risque "Closet Man" all please, but nothing really catches fire. The final album here, White Heat, is perhaps the most intriguing of Springfield’s entire career. Its synth drenched production is, to put it kindly, a thing of its time and Springfield’s voice is buried almost as deep in the mix as it is on some of the later Pet Shop Boys material. Most of the songs express frustration, confusion or anger with life in general and relationships in particular and the album was completely inappropriate to a period of glossy superficiality in music as in everything else. At a time when Duran Duran&#146;s Rio ruled the airwaves and the public wanted its female pop stars in the form of Charlene or Irene Cara, Springfield’s barely disguised anguish fell on deaf ears. The vocal weaknesses are achingly apparent here, yet only serve to compliment the emotionally fractured nature of the material. The most straightforward pop number, "Don’t Call It Love," is also the weakest but "Time And Time Again," on which Springfield&#146;s fragile vocal is borne aloft on delicate piano while it simultaneously risks being swamped by swirling strings, is superb. Her dismissive coolness on "I Don’t Think We Could Ever Be Friends" seems only to mask despair and on "Soft Core" she metamorphoses into Lotte Lenya to dissect her every perceived failing with brutal and unflinching honesty. She sings "you drag yourself through a haze of drugs and alibis" as she parades her tattered self-worth in public for all to see. At the time, nobody cared and White Heat disappeared into oblivion. 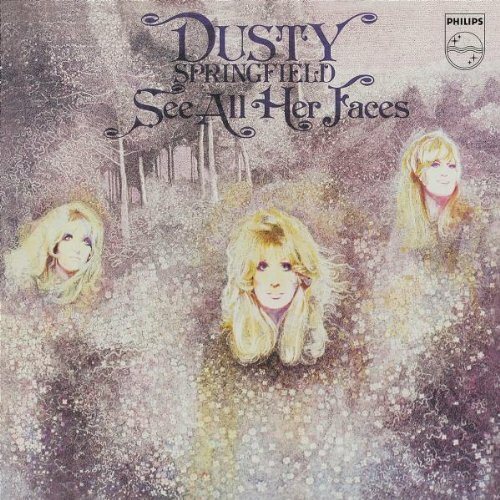 In retrospect, it is the closest she ever came to revealing the fractured soul of Mary O’Brien that Dusty Springfield spent a lifetime trying to conceal.